You’ve Heard of Placebo. But What About the Nocebo Effect? I ran across a quite good article the other day entitled A Powerful Tool in the Doctor’s Toolkit written by Dr. Danielle Ofri. It was about how the placebo effect is underappreciated in medicine. Far from being an esoteric “Gee-Whiz!” phenomenon, the placebo effect and its counterpart, the nocebo effect, are things we can use to our advantage in almost every clinical encounter. The placebo effect is, of course, the well-established fact that inert substances can have potent therapeutic effects if the patient believes in them. In the article, Dr. Ofri tells the story about one of her patients who got remarkable pain relief from sterile saline simply because Dr. Ofri had called it “Tylenol #5.” The ability of a placebo to provide pain relief has long been known. Interestingly, this effect is not just psychological. If you give a patient Narcan along with the placebo, there will be no placebo effect. The placebo effect works because patients secrete their own hormones and chemicals to make it work. Besides pain, placebos have been shown to have all sorts of other real clinical effects from alleviating depression to reducing blood pressure. Placebos don’t work in everyone, but a general rule is that approximately 1/3 of patients will experience significant benefit from a placebo. 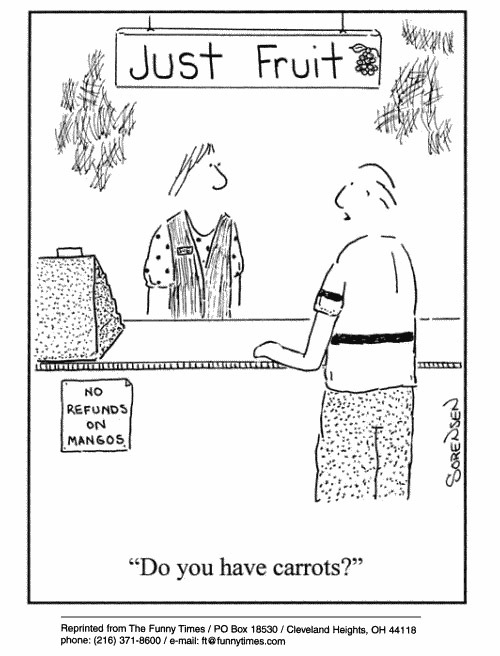 The key is that the patient believes that the placebo will work. The opposite effect is also possible. For example, if patients believe that an inert “sugar pill” will cause vomiting, approximately 1/3 of the patients taking it will get nauseated. Inert substances causing negative effects is called the “Nocebo Effect.” Another example is when a patient is given a real therapeutic agent like an antibiotic, but, because the patient does not believe that it will work, it does not work. Again, the key is what the patient thinks will happen. But here is the most interesting part of the article for me: According to Dr. Ofri, placebo effects persist even when the patient knows that they are taking a “sugar pill.” How is this even possible? If you tell your patient that you are giving them a sugar pill with no therapeutic effects, how can the patient believe in the therapy enough to make it work anyway? The answer is that the patient believes in YOU, their medical provider. It is a matter of trust. If you have a relationship with your patient such that the patient trusts you and believes in your judgment, they will get placebo benefit even when they know that the pill itself has no effect. In fact, the pill is irrelevant. If the doctor-patient relationship is a good one, the patient will get health benefits from every clinical encounter. Conversely, if the patient does not trust you, the therapy that you offer might not work. For example, I read that approximately 50% of all ER prescriptions are never filled. Medications can’t work if they are never taken! And why weren’t they taken? Often, because the patient did not believe that they would help. The insight that the placebo/nocebo effect depends on the physician-patient relationship is remarkable and has far-ranging consequences. The first thing is that it takes the sugar pill out of the equation. 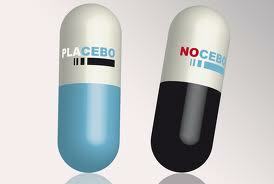 Early on in my medical career, I thought that the placebo effect was interesting but not clinically useful. I would never deceive my patients by giving them sugar pills, so what is the point? But this was naïve of me. As we have seen, the placebo/nocebo effect comes into play in every single clinical encounter. If the patient trusts me and believes in me, the therapies I offer will be enhanced by the placebo effect. If I prescribe a simple SSRI antidepressant, it is more likely to be effective if the patient trusts me and believes that the therapy will work. If the patient distrusts me and is skeptical of what I have prescribed, there is a good chance that it won’t work. The patient may even refuse to take it! So what can we do to make our patients believe in us? This is a critically important aspect of medical practice in general and in corrections in particular. And I will address this in the next post of JailMedicine! Your comments are important and educational to others! Please comment! This entry was posted in Inmate issues, Medical Practice, Practice Management and tagged correctional medicine, evidence based medicine, inmates, jail medicine, jails, Nocebo effect, Placebo effect, prisons on September 2, 2013 by Jeffrey Keller MD. I have seen this work quite effectively here at our jail in the past. When I first started working in corrections, 20 years ago, we had an older doctor in his 70’s working for us and he would often order “Codan” for our patients for pain when they complained that none of the NSAIDS worked for them. It was amazing to see how many patients responded favorably to that treatment. When I asked one of the older nurses what CODAN was, I found out it was just Walmart, Equate brand Tylenol gel caps. So, either Tylenol was a more effective pain medicine than Ibuprofen 800mg or the pretty multi colored gel caps worked well for a placebo effect. We have not done this since that doctor retired but it was an interesting phenomenon. A colleague of mine worked in Nigeria for an oil company. When he had time after serving employees, he often took care of Nigerian citizens. He loved M&M peanuts and gave some out as pills. One thankful patient returned with renewed symptoms. “Doctor, please give me two blue ones–they work good!” And it was not trickery or witchcraft, it was trust, or what I would call “presence.” Presence is powerful. “Presence” is a great term for trust, competence, caring and belief that we physicians aspire to! The placebo effect is alive and well. We are all familiar with patients who want “something stronger” for their pain complaints. I often head this request off by telling the patient to let me know if the medicine I’m prescribing is “too strong for you.” I’ll offer to cut it back if that’s the case. Works like a charm.